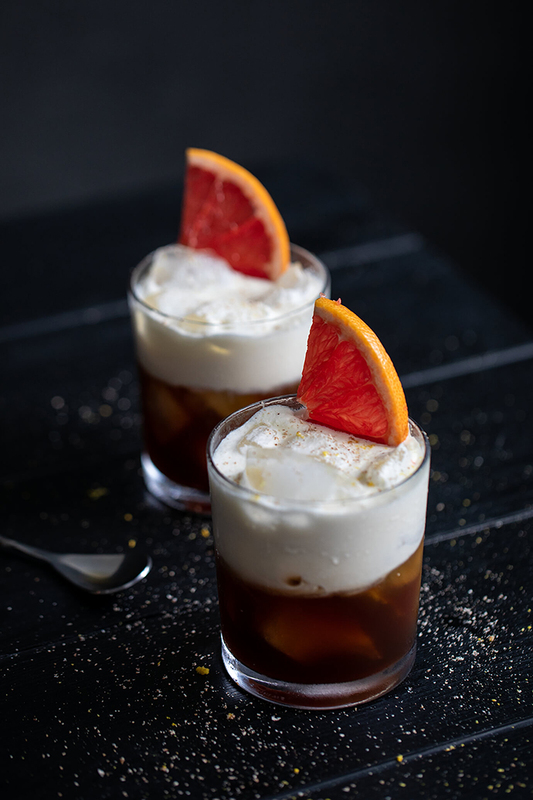 It is the godfather of all coffee drinks: the White Russian So show a little respect when revitalising the elderly gentleman – with vanilla and grapefruit. Classics: are they untouchable? Yes and no. You can't go wrong with an Evergreen. But you are also not creating anything new. We push the boundaries of the old Russian and reach new horizons with unusual pairings. At this point it calls for a big sorry to Big Lebowski. But times are changing, dude! 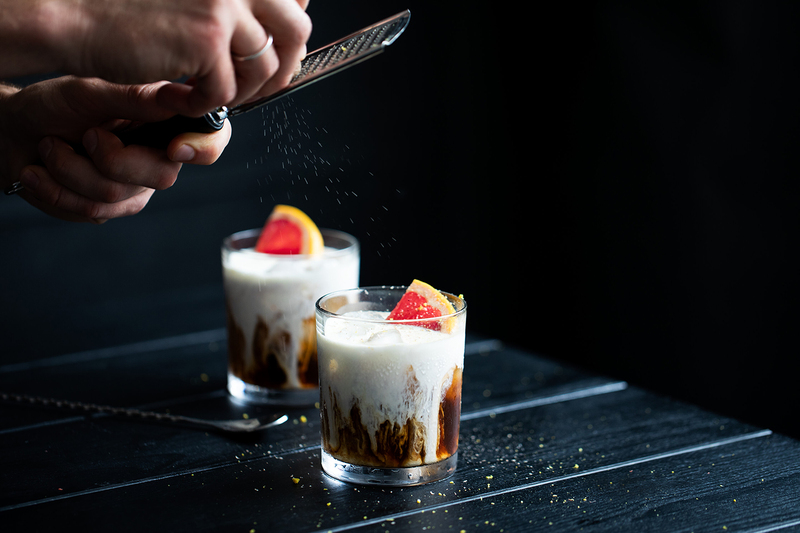 A "genuine" White Russian comes in teams of three: cream, Kahlua and vodka. If you like to stick to what you know, now is the time to leave. Those who are more courageous, stay tuned! 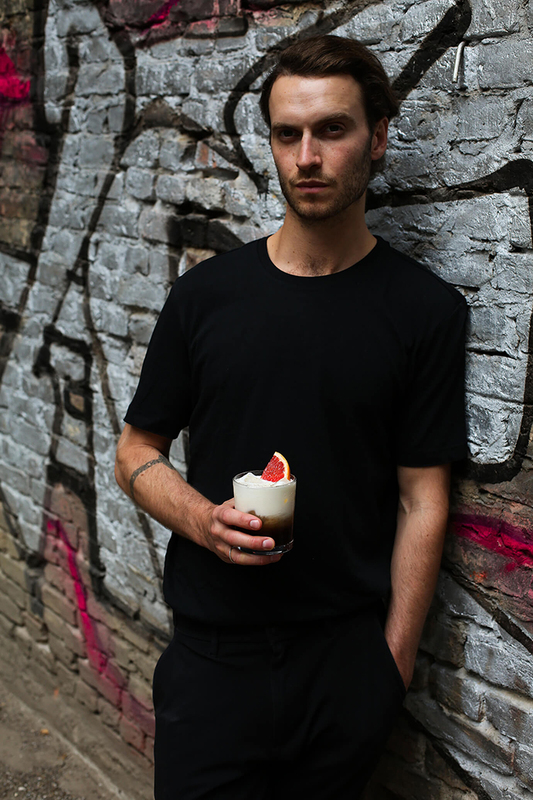 As the royale Russian confesses to completely different preferences, namely to grapefruit, vanilla, lime and muscat! And for all you individualists and coffee nerds on top you will also find instructions about how to mix your own coffee liqueur. Does that sound good? It tastes even better! Remove the peel of a grapefruit with a zester or peeler. 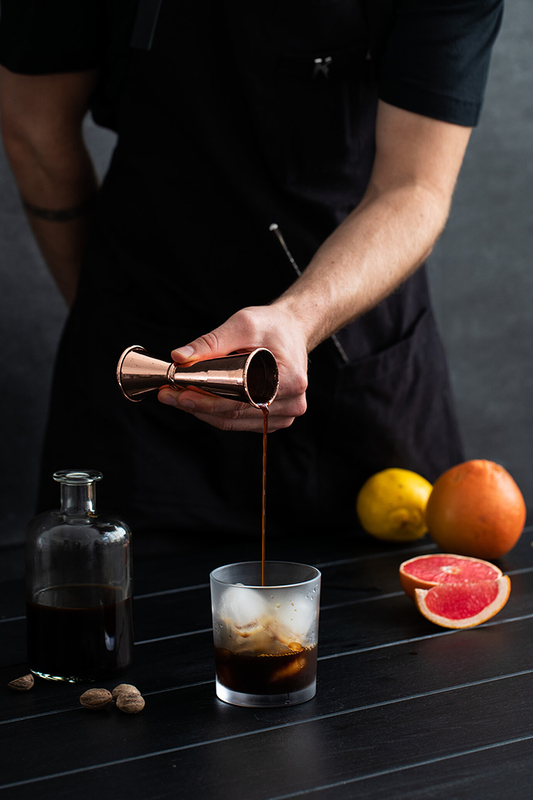 Take a bowl add the grapefruit peel, the vodka, the water, the brown sugar and 100 ml of our Lungo Forte. Mix it all well with a whisk. If the sugar is difficult to dissolve, you can speed up the process in a pan with a small flame. Allow the liqueur to rest for at least one night and then pour it into a bottle. Grab a whisky glass and fill it with ice cubes. Add 40 ml of vanilla vodka to it. Tip: if you cannot find the suitable brand, simply add half a vanilla pod to your bottle of vodka and let it all mix together overnight. Add 40 ml of your coffee liqueur or simply Kahlua. Now froth up 40 ml of cold cream and slowly pour it on top of the drink. Top the cream with a bit of lime zest and freshly grated muscat. The Pink Russian? Best shared with your dudes and dudettes. If you then want to show off your skills at the bowling alley like Big L. is entirely up to you.